What Can You Do to Maintain Commercial HVAC Systems? Louvers may be able to benefit your commercial HVAC system. So can these maintenance tips. Keeping your commercial HVAC system is a necessity for the comfort of customers, patrons, and employees. Most modern HVAC systems aren’t all too susceptible to damage and don’t need a ton of maintenance to keep them in shape, but there are some things you can do. To start: try installing louvers around your commercial HVAC system instead of an actual fence to help promote airflow. Beyond that, let’s take a look at some more ideas for what you can do to keep your commercial HVAC systems up and running. Make sure you’re in tune with where your thermostat is set and what temperatures you’re working with. If your hours of operation end up changing, it’s important that you change your thermostat around a bit too. It’s also good to regularly check your system’s filters and swap them out if they begin to get dirty. If you have an electronic filter, just be sure that you’re vacuuming it off about monthly. Lastly, make sure your louvers are doing their job and keeping away any debris while still promoting airflow and letting your HVAC system work how it should. During fall, you want to give everything a big cleanout before the cold begins. If you have a furnace, be sure to open it up and vacuum out any cobwebs or dirt to keep it clean and functional. As for outdoor condenser coils, you can use a garden hose to wash them off and help get rid of weeds or debris. 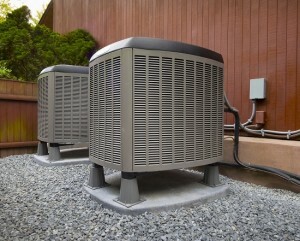 Try to ensure you have two feet worth of space between your condenser unit and anything else. At least once a year, you’re going to want to give the whole system a deep clean. Making sure your commercial HVAC system is working right is a necessity, so to clean it, use a mix of dish soap and water to clean the coils of the cendenser. Try using a spray bottle to get it soaked with soap and then use a hose to wash it all off. If you need to, have a professional come look at the system and make any repairs or adjustments that you may need. This entry was posted on Friday, September 14th, 2018	at 12:38 pm	. You can follow any responses to this entry through the RSS 2.0 feed. Both comments and pings are currently closed.